You have the option to install our server-based Phish Alert Button (PAB) on a single machine with an Outlook Web Access (OWA) account. Note, this installation method is compatible with Outlook 2013, 2016 and Outlook 365. Log in to your OWA account. Located in the top-right of the screen, click on the gear icon. This will open the Settings pane. 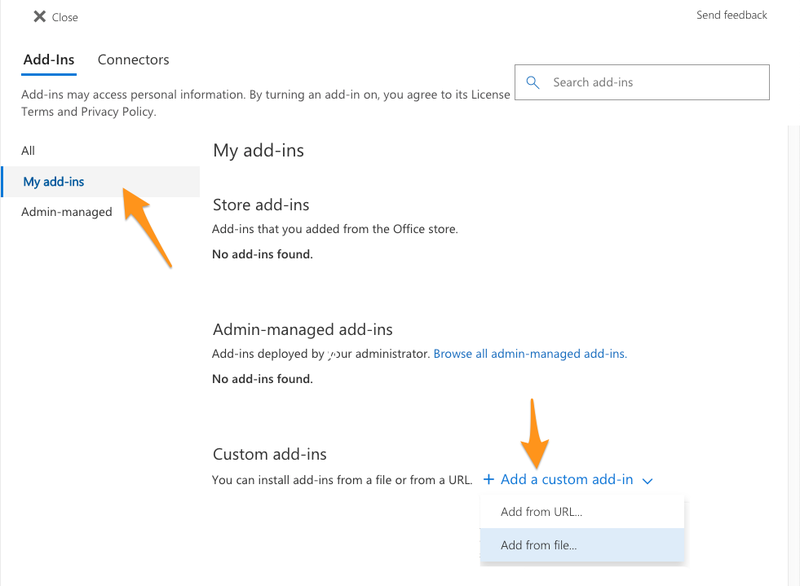 Under Settings, select Manage add-ins. Beneath the Add-Ins tab, select My add-ins on the left. Click on + Add a custom add-in and select the Add from file... option. Choose the O365Manifest.xml or ExchangeManifest.xml file downloaded from your KnowBe4 Account Settings. Then, click the Open button. A prompt will appear. Here, click the Install button. 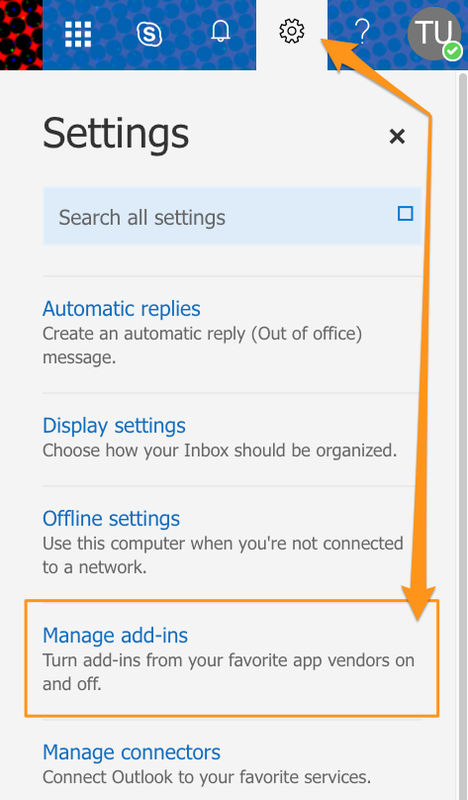 Once installed, close and reopen Outlook Web Access for the PAB to appear in your account.